Award-winning writer Brian K. Vaughan (PRIVATE EYE, WE STAND ON GUARD) and artist Fiona Staples (Archie, North 40) will launch a new story arc in their three-time Eisner Award-winning sci-fi/fantasy series SAGA this November. Previously in SAGA, the gang of heroes and anti-heroes was further scattered as uneasy alliances were forged and broken. The Will was revived, though at great cost. Marko and Alana were reunited, but Hazel remained out of their reach. 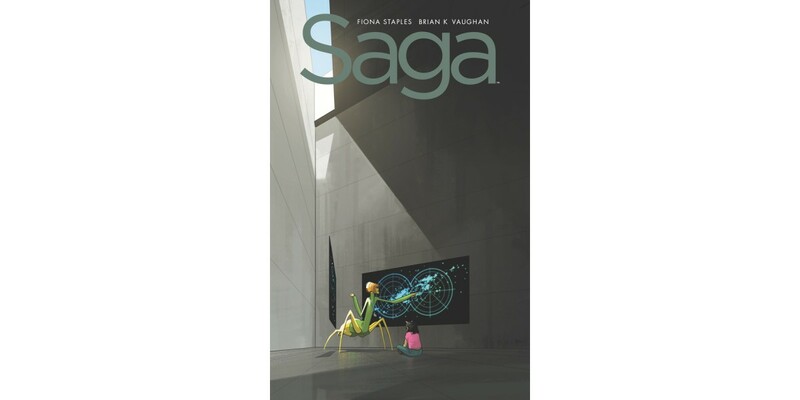 In SAGA #31, after a dramatic time-jump, Hazel is on the brink of her most exciting adventure yet—kindergarten! SAGA #31 (Diamond code: SEP150597) hits stores Wednesday, November 25th. Final order cutoff deadline for retailers is Monday, November 2nd.